The Vanishing Act is set very firmly in Auckland during the month of March, 1967. The time and setting are distinctive. Those who were here at this time will find many points of recognition in the novel, and so too will those of you who were living in other parts of New Zealand. There will be resonances for most of you because the later 1960s was a time of social and political upheaval which threatened the established, and very conservative social order. It’s an intriguing plot with a lively cast. Readers will experience, as I did, many jolts of memory from the 1960s. Included in The Vanishing Act are several landmarks of Auckland, and many of the cultural emblems of 1967: the movies (Bonnie & Clyde, Blow Up, The Graduate), the TV programmes (Z Cars), the transport (Istvan rides a Vespa), the music (Georgia on My Mind, Billie Holiday) and the preferred alcohol (Even Cold Duck has a walk-on role.) The rapidly festering wound of the Vietnam war is here, and so are the local protests against it. University politics and a rising tide of feminism are skilfully integrated into the plot. It was an exciting era, and one that Jen captures well through her characters and events. Throughout, the pace of the narrative is brisk: chapters are short and sharp, so that while the plot thickens, it never gets clogged with unnecessary detail. Dialogue – always a vital aspect of fiction writing – is incisive and authentically sounding. The novel comes unashamedly into the genre of ‘popular fiction’, which is infinitely preferable to ‘unpopular fiction’, which attracts far too much critical attention, I believe. We need more popular fiction. I have no hesitation is recommending The Vanishing Act to book-buyers and readers. It’s highly entertaining and very well produced. In that respect I must add a tribute to Mary Egan and her publishing team. 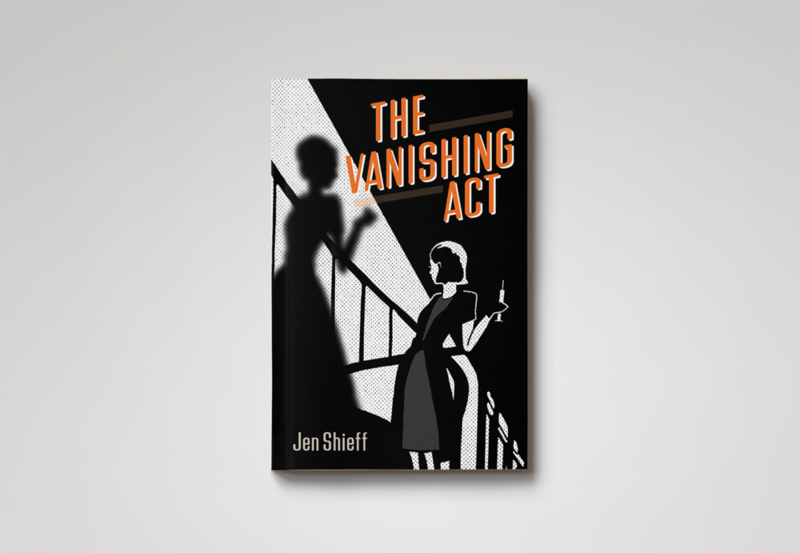 She and her daughters are now a firmly established part of the New Zealand literary scene, and The Vanishing Act is one more contribution to our literature. The Act of the novel may be vanishing, but the book itself will not do so, I’m sure. Prior to becoming a full-time writer, Jen taught English literature at high school, owned and managed her own business and then taught management at Auckland University of Technology. Jen now lives and writes in Turangi, where the bubbling mud of the Volcanic Plateau inspires her on a daily basis to think what might possibly have been just below the surface of apparently ordinary life at different times in New Zealand’s recent past.